Friends sent me purple sweet potatoes from Hawaii for Christmas!! Yum! Going Whole 30 for the month of January to get the year off on the right foot. Breakfast seems to be the stickiest point for a lot of people trying Whole 30. This seems to be for two reasons, 1. People get tired of eating eggs. 2. Many people lead busy lives and need more of a grab and go breakfast. While this isn’t exactly grab and go, you can make it in advance and quickly reheat a piece. Preheat your oven to 400°F. 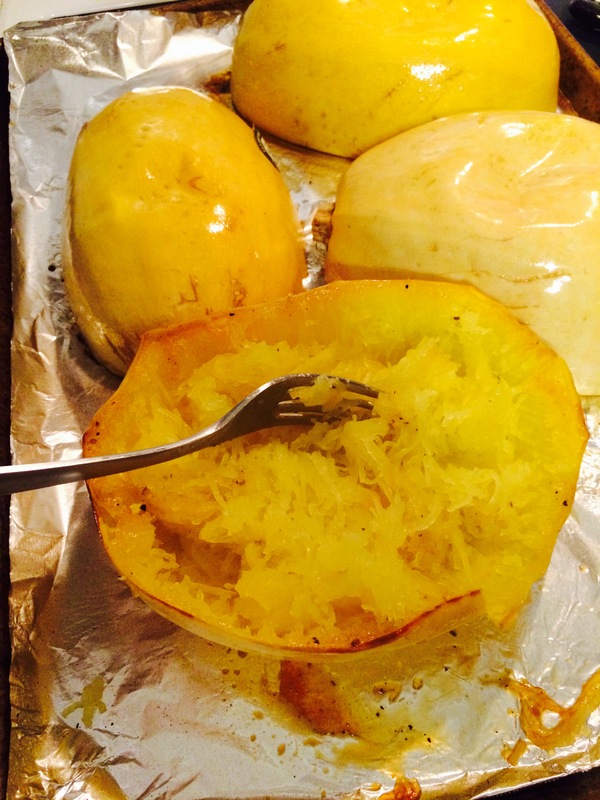 Cut your spaghetti squash in half lengthwise, scoop out and discard the seeds. 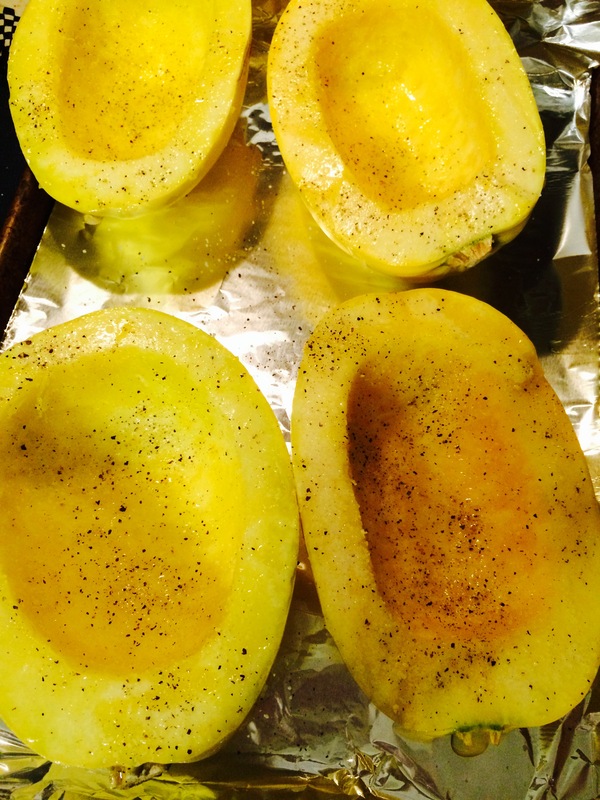 Coat the squash flesh with olive oil and season with salt and pepper. Place the squash cut side down on a baking sheet and bake at 400°F until soft, approximately 45 minutes. Shred your sweet potato and onion through your food processor. Heat 2 tbl. olive oil or coconut oil in a large skillet over medium high heat. Add the onion and sweet potato. Mince and add the garlic. Cook until sweet potato is soft, set aside to cool. Once squash is cooked, use a fork to shred and set aside to cool (discard skin). Whisk eggs and season with parsley, salt and pepper. Combine eggs with squash and sweet potato mixture. Season with salt and pepper. 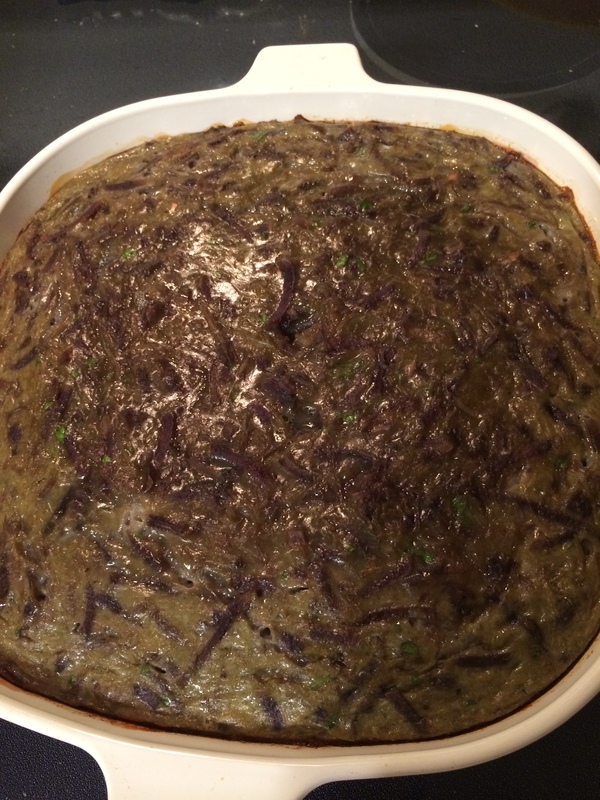 Pour mixture into an 8×8 inch glass or ceramic baking dish and bake at 350°F until cooked through, approximately 45 minutes.